According to the assumptions of our Project apply we are realizing the order for delivery of two trailers, adjusted to be a mammography offices. We are inordinately glad that we have an opportunity to modernize our vehicle fleet. New trailers are going to replace two vehicles, which are currently doing mammography tests all over Poland. The high standard of the finishing and many innovative solutions, used in the production, guarantee comfort for ladies. We are sure, that woman, who will visit our vehicle and will make a mammography test, would be satisfied with conveniences. Vehicles are produced by ‘Autokontener’ company, which has a huge experience in constructing many types of trailers (functioning as sport’s vehicle, television trailers and also very luxury ones). We are glad, that it’s a Polish company, which realizes the service on the highest level. We believe that our longstanding practice at work in mobile mammography vehicles and the professionalism of the producer will lead to the highest quality. 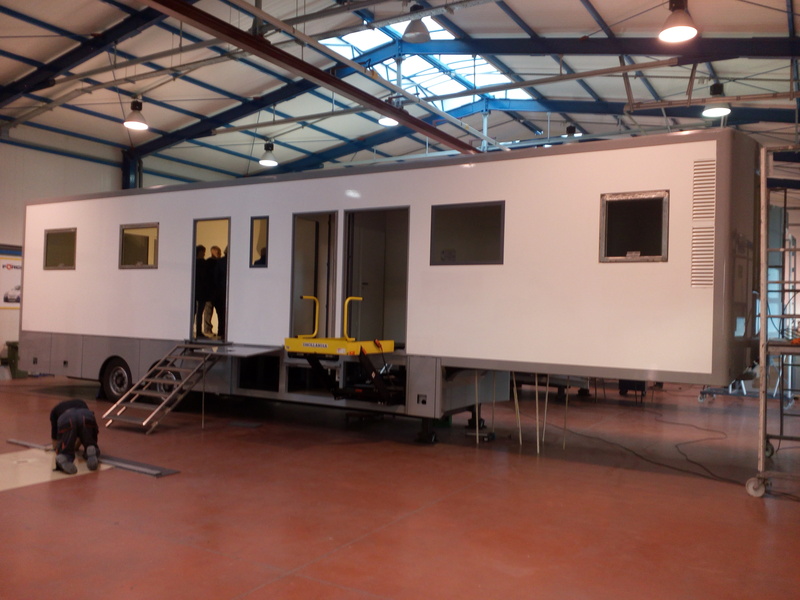 New vehicles will also have a spacious waiting room and new, modified dressing room, which is going to have an effect of streamlining the tests. There will be new mammography apparatus installed in the trailers. They are brand new – produced in Finland in 2015. The apparatus are taking tests in the digital technique, which provides the better diagnosis value. This week we made a control visit in the production hall and we could observe the progress of the construction of the trailers. The construction work is doing well and duly, so we expect that in the end of January the vehicles will be ready to use and would start their work.